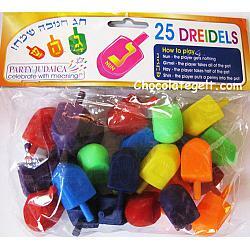 Dreidels for Sale! Click & Spin! 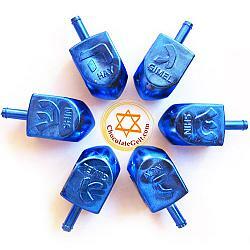 Order here. BESTSELLER! 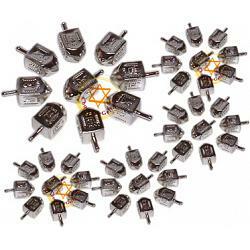 100 Medium Dreidels. 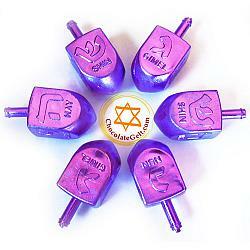 Size: 1.75". 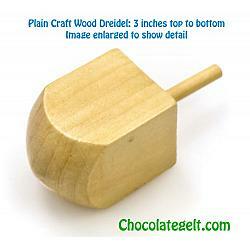 Size: 1.5 inches. 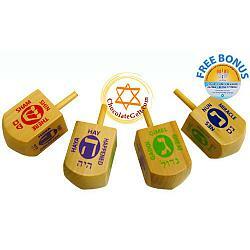 Great size dreidel for playing and party decorating! 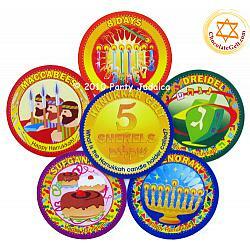 50 coins come in each package. 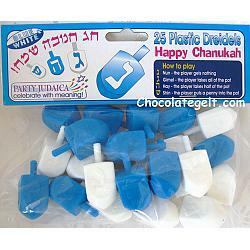 Discount case of 50 craft dreidels. 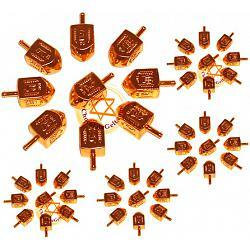 100 gold plastic dreidels. 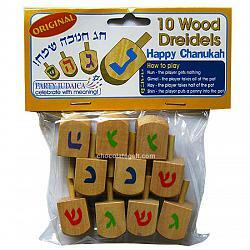 Dreidels measure 1.75 inches tall and 0.75 inches wide. 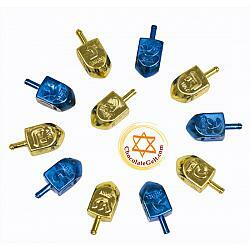 500 gold plastic dreidels sold in bulk. 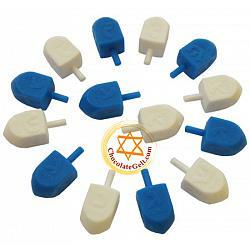 $24 per 100 dreidels. 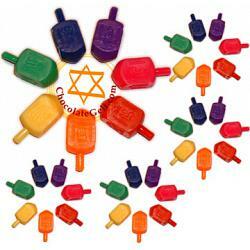 500 Plastic Dreidels bulk, dimensions: 1.75 inches tall. 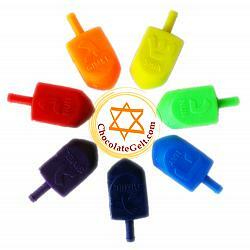 Multi-color assortment. 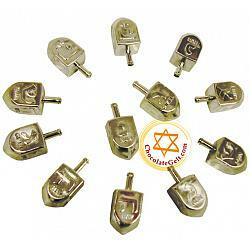 1.75 inch silver dreidels. 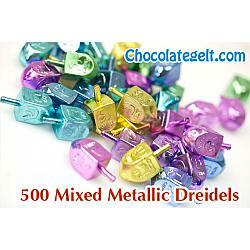 Silver dreidels ONLY! 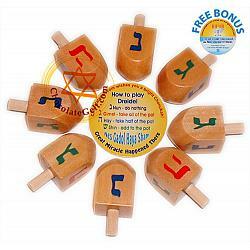 Dreidels are four-sided spin tops. 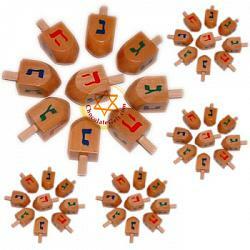 Dreidel Game has been around for a few hundred years and is played during the 8 days of Hanukkah. 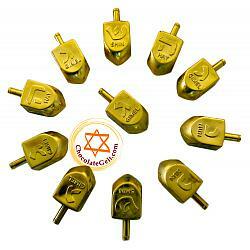 The word Dreidel comes from Yiddish word "dreyen" - "to turn". 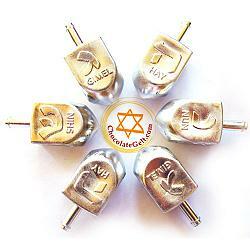 In Israel dreidels are called "sevivon", Hebrew word comes from the root "sbb" - "to turn". 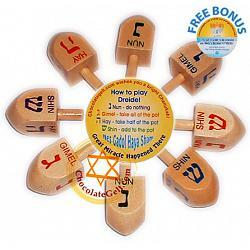 Each side of the dreidel bares a letter of the Hebrew alphabet: Nun, Gimel, Hei, and Shin, which together form the acronym for "Nes Gadol Haya Sham" – "a great miracle happened there". 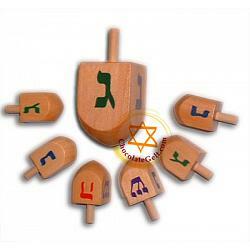 In Israel you can also find dreidels which have a letter "pei" instead of "shin" making that phraise "Nes Gadol Haya Po" - "a great miracle happened here". 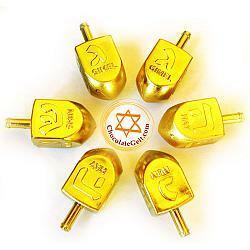 You can buy both kinds of dreidels for sale on our website! 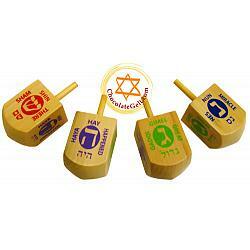 The four letters on the dreidel are also known to be symbolic. 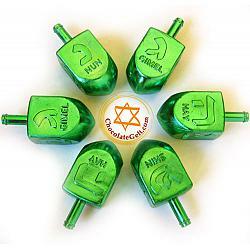 According to some Jewish commentators they stand for countries of four exiles to which the nation of Israel was subject - Babylonia, Persia, Greece, and Rome. 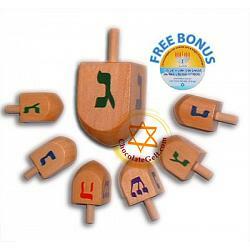 The significance of spinning the dreidel is to see the is a microcosmic representation of the four kingdoms, Babylon, Persia, Greece and Rome spinning around the center. 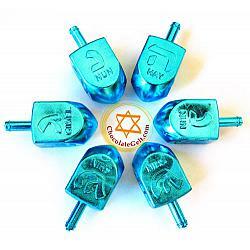 Every empire thinks that it will last forever, but The Hand that spins the dreidel of history only for predetermined time and then, each Empire, despite its vainglorious boasting, falters on its axis and finally crashes. 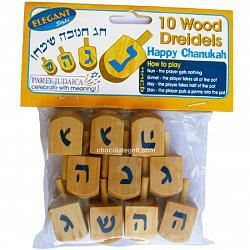 When you have you draydels your need some tokens for the game. 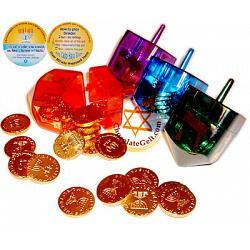 It is always more fun to have Hanukkah gelt instead of real money. 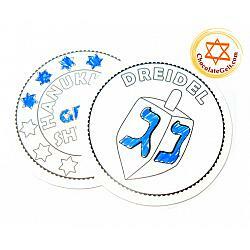 Complete your Hanukkah experience with our chocolate coins and your celebration will turn out to be a great success! 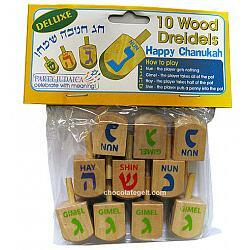 Any kinds of dreidels, plastic, wood, large and small, you name in, you will find dreidels for sale at chocolategelt.com and we'll send them to you fast. 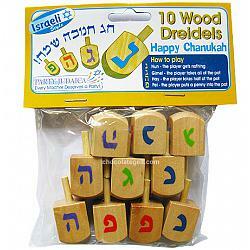 It's almost Chanukah and you've got no dreidels?! 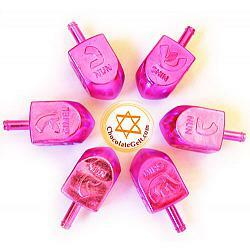 Oy Gevalt! Buy them fast! 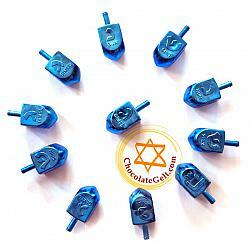 Dreidels for Sale Year-Round #chocolategelt #dreidels #chanukah We've got you covered!